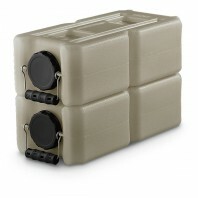 WaterBrick is an innovative company and the inventor of the WaterBrick, a special kind of multi-functional container. 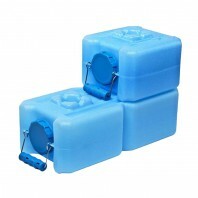 Easy to transport, WaterBricks can quickly deliver live-giving water and food to people in need. They can be palletized, shrink-wrapped and air-dropped anywhere in the world, no matter how remote the location. However the functionality goes well beyond being a container. They can be re-used as basic building blocks for transitional housing, requiring no foundation or mortar. 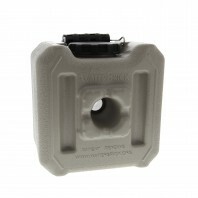 Discount Filter Store carries various WaterBrick sizes, including the 3.5 Gallon Stackable WaterBrick, the 1.6 GalloN Stackable WaterBrick, the WaterBrick Ventless Spigot Assembly and more. 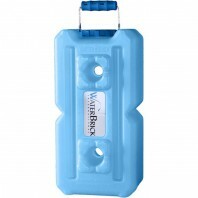 With our help, youâ€™ll have all of the pieces you need for your WaterBrick project. If you want to learn more about the WaterBrick, or find out which product is the best for your goals, please contact us or call 1-800-277-3458. 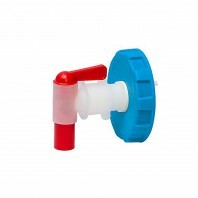 If youâ€™re interested in learning more about water filtration, check out our resource center.